In the popular imagination, Spain conjures up a picture of rapacious conquistadores, the unworldly Don Quixote, brave bullfighters, fiery flamenco dancers, and brilliant artists, from Goya and Velasquez to Picasso and Dali. All true enough—but how does the real, everyday Spain conform to these stereotypes? The Spaniards are certainly distinctive. Visitors to Spain might be astounded by their vitality and entranced by their friendliness. Spanish people tend to be proud, passionate, spontaneous, generous, and loyal; they can also be procrastinators, individualistic to a fault, suspicious, and loud. Culture Smart! Spain explores the complex human realities of modern Spanish life. It describes how Spain’s history and geography have created both regional differences and shared values and attitudes. 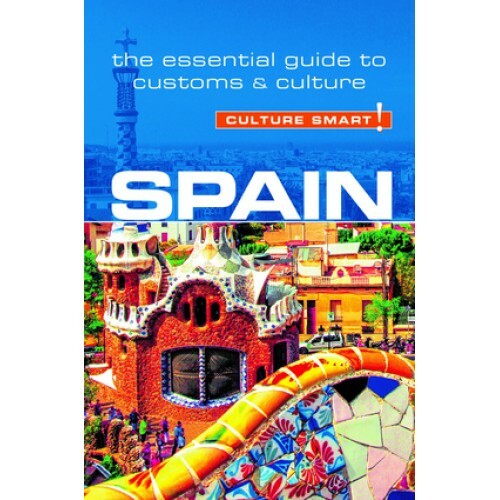 It reveals what the Spaniards tend to be like at home, and in business, and how they socialise. The chapter on customs and traditions will prepare you for their boundless energy and religious culture, despite being a secular state with a declining number of believers. The chapters on making friends and communicating are there to help you make the very most of your visit. The better you understand the Spanish people, the more you will be enriched by your experience of this vital, warm, and varied country—where the individual is important, and the enjoyment of life is paramount.